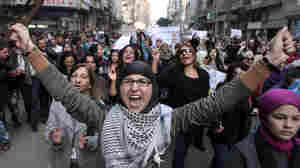 January 25, 2014  While thousands of Egyptians celebrated throughout the capital, marking the start of the revolution three years ago, Islamist counter-demonstrations were crushed. 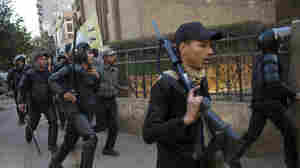 December 27, 2013  At least three people are dead and more than 250 arrested just days after the Muslim Brotherhood was declared a terrorist organization. 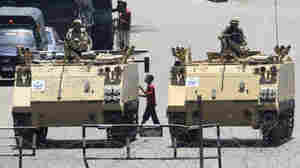 October 9, 2013  Hundreds of millions of dollars in military aid, including jets, tanks and helicopters, will be cut off in response to the ouster of President Mohamed Morsi and a deadly crackdown on his supporters. 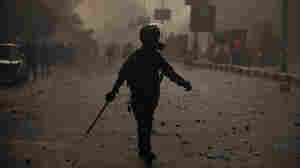 October 6, 2013  In central Cairo, as well as other parts of Egypt, clashes broke out between supporters of the Muslim Brotherhood and the military-backed government on Sunday. September 1, 2013  A prosecutor has issued formal charges against the ousted leader and 13 other members of the Muslim Brotherhood. 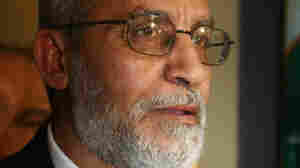 August 31, 2013  The official MENA news agency denies reports that Mohammed Badie, who was arrested by Egyptian authorities earlier this month, has died. 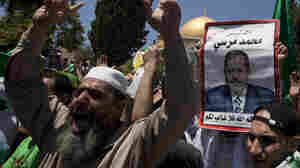 July 26, 2013  The charges against the ousted Egyptian leader stem from his 2011 escape from prison in the final days of the Hosni Mubarak regime. 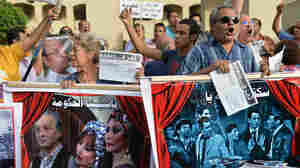 June 16, 2013  The director of Cairo's Opera House has been sacked, sparking protests and a sit-in at the Culture Ministry. 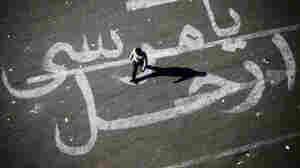 Egyptian artists say there's a culture war underway, pitting secularists against the Islamist administration of President Mohamed Morsi. December 8, 2012  Egypt's army also warned both supporters and opponents of President Morsi that they must hold talks, otherwise Egypt will enter a "dark tunnel" leading to catastrophe — and the army won't allow it. December 7, 2012  Detractors of Egyptian president Mohammed Morsi breached the security perimeter of the presidential palace in Cairo. Some scrawled graffiti on its walls. 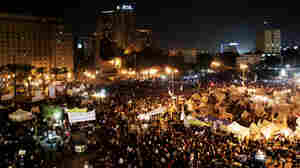 November 28, 2012  The crowd in Tahrir Square is much smaller today. 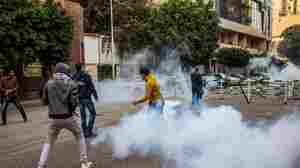 Police have fired tear gas again in an effort to disperse those who are angry about President Mohammed Morsi's decrees giving him more power. Much larger protests may resume, though, on Friday. 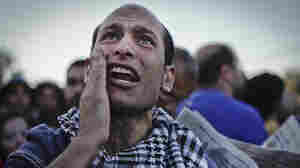 November 26, 2012  The decree, which granted the Egyptian president sweeping power, unleashed mass protests. 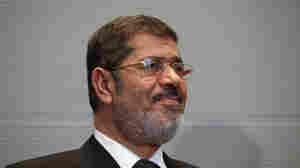 Today, Mohammed Morsi softened his language, but stood his ground, saying the decree will not change. 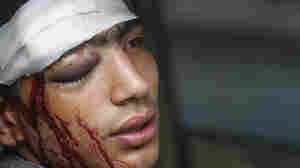 December 16, 2011  Egyptian protesters once again clashed with the country's ruling military and throughout the day the conflict few larger and bloodier.